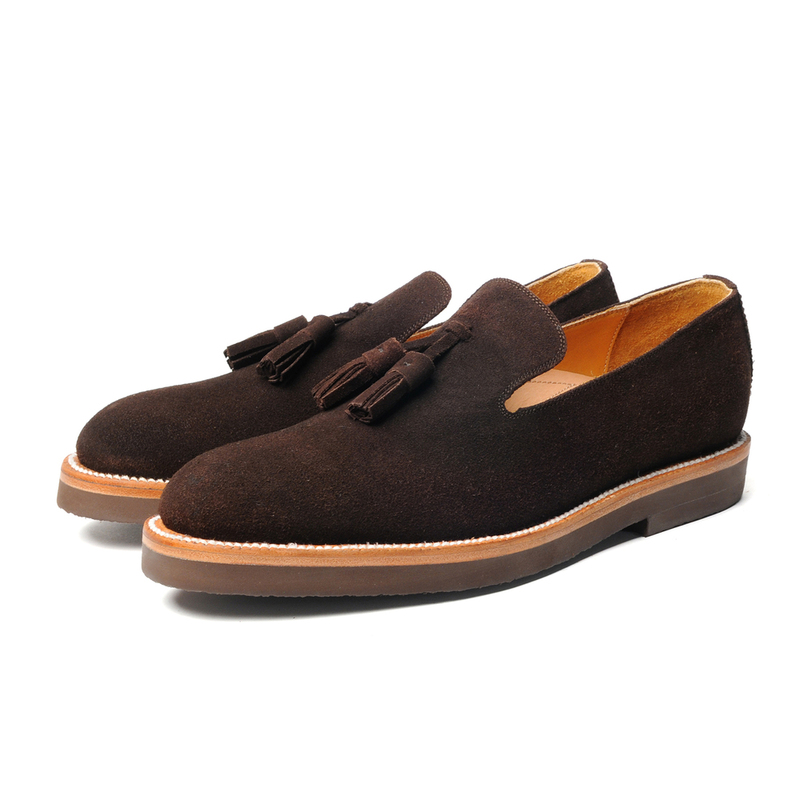 Yuketen's One Piece with Tassel is the ideal slip-on trad style for spring and summer. 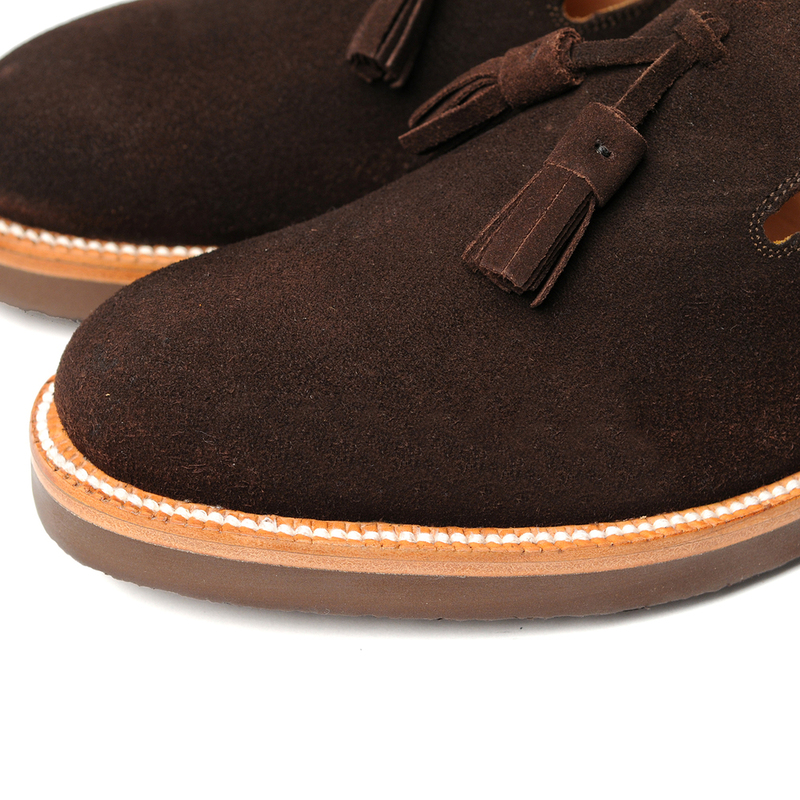 Each shoe is benchmade in Mexico from handcut pieces of heavyweight suede using semi-modified 1930’s American lasts. 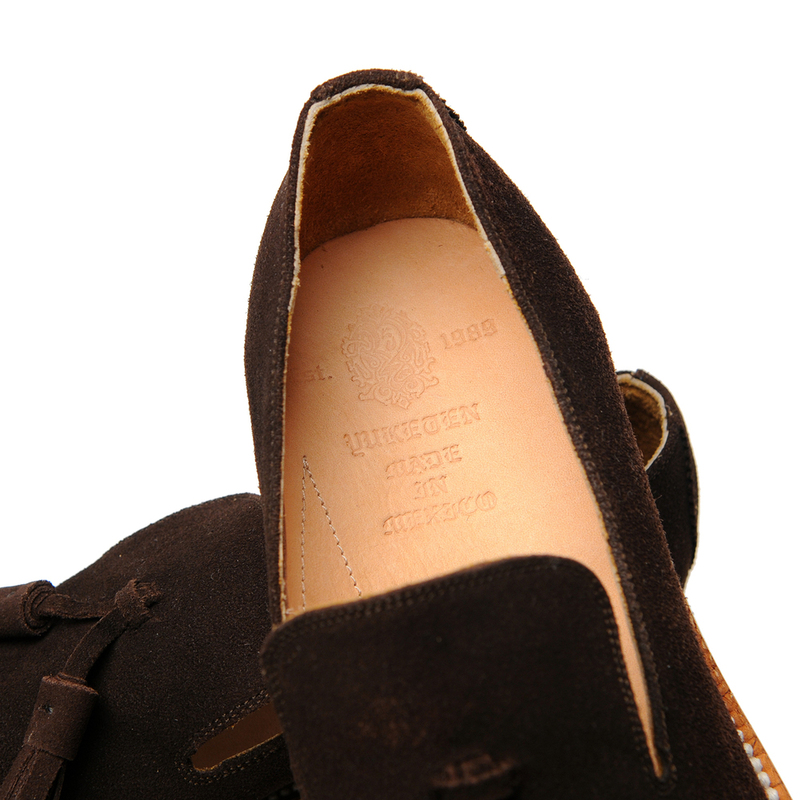 Full-grain leather welt is Goodyear stitched to 100% vegetable-tanned leather insoles using a 1910 German-made welt stitcher. 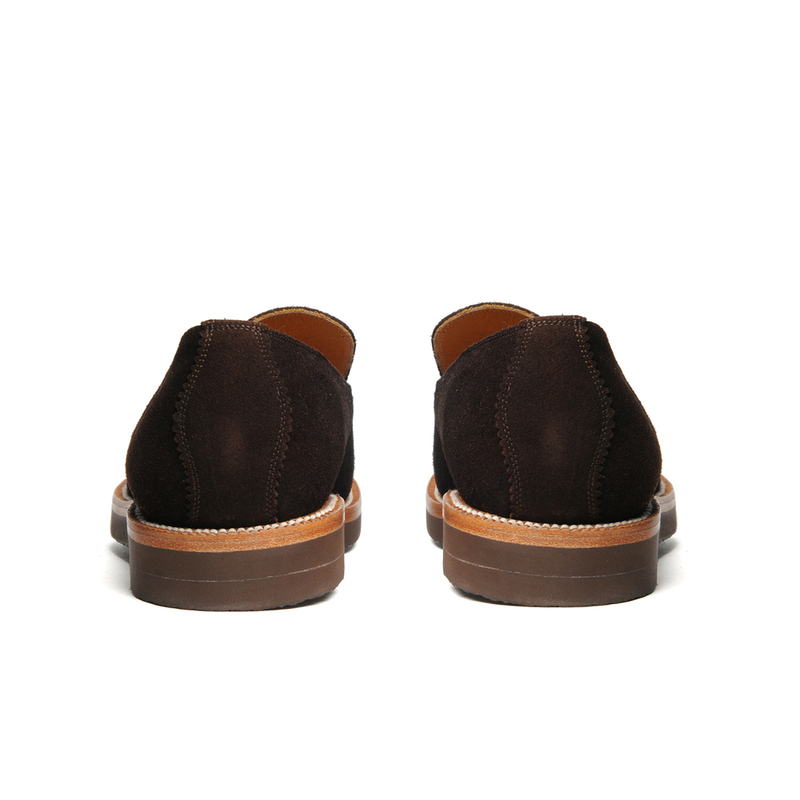 Finally, Each Goodyear stitch is hand-notched for added security and an EVA crepe wedge outsole is directly attached to the shoe's 100% vegetable-tanned, leather midsole. 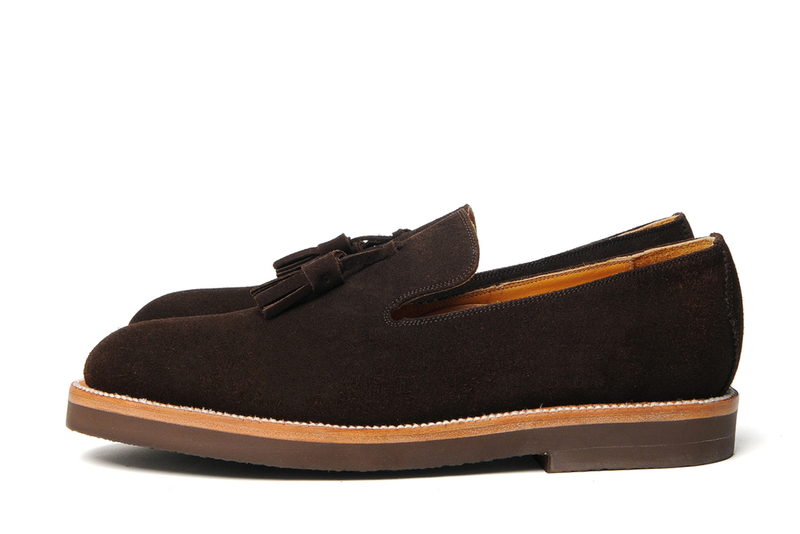 Soft-tanned cow leather lines the shoe for added comfort and durability. 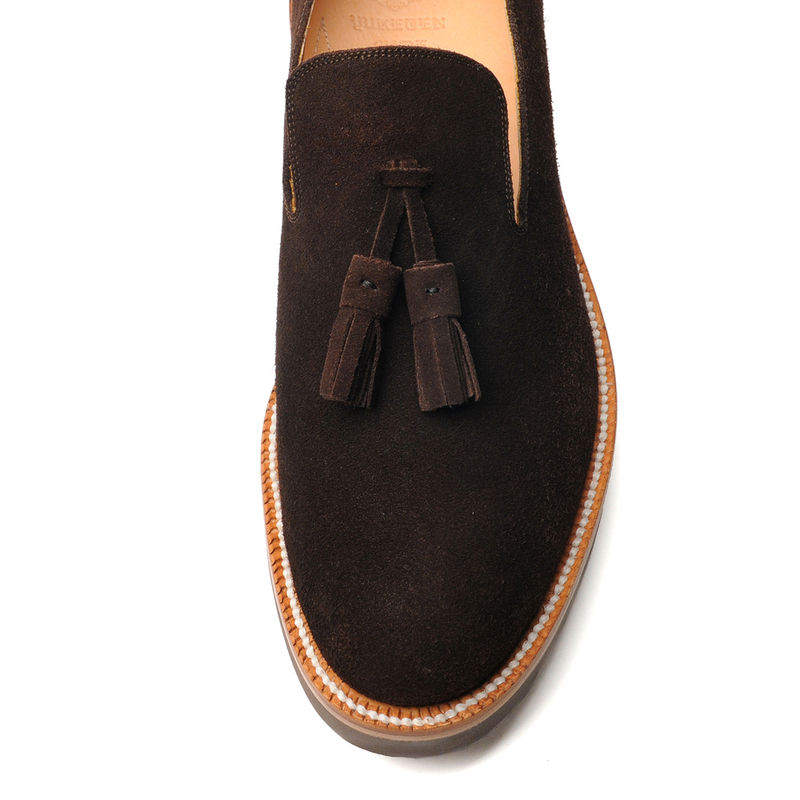 A polished style, the One Piece with Tassel is intended to be worn with semi-formal attire. Our One Piece with Tassel style merges trad style with EVA crepe outsoles as a touch of casual exposure to produce a truly versatile dress footwear silhouette especially suitable for spring and summer seasons.